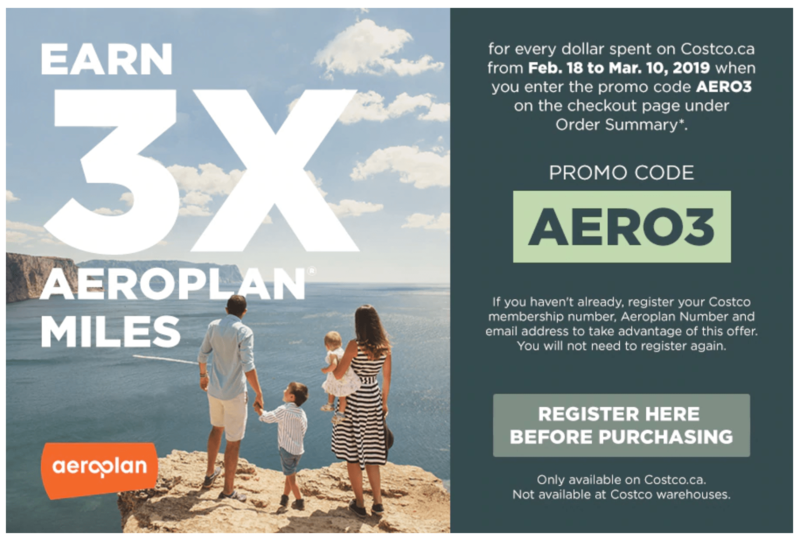 Now you can earn 3X Aeroplan Miles for every dollar spend on Costco.ca when you enter the promo code AERO3 on the checkout page under “order summary”. This offer ends March 10 2019. Click here to view Costco’s latest flyers.